WILDWOOD — In 1963, the Wildwood Historical Society was established by city historian George Boyer, who arranged a small exhibit on the second floor of city hall 55 years ago. Through the years, generous visitors donated so many artifacts that the collection grew too big for the space. Since 1991, the George F. Boyer Museum has operated at 3907 Pacific Avenue. The museum, which boasts a collection of thousands of historic Wildwood photographs and artifacts from Hunt’s Pier, Zaberer’s Restaurant, and dozens of doo-wop motels is now operating during their summer hours, Monday through Saturday, 9 AM to 2 PM. The museum has photos of nearly every address in town from 1960, thanks to a donation of vintage city tax record photos. Visitors can see what their house or property looked like almost 60 years ago. Visitors can buy a piece of the Wildwood Boardwalk at the George Boyer Museum. Historical society volunteers brand pieces of weathered boards salvaged from the boardwalk in an ongoing fundraiser to purchase a new roof for the museum. The boards sell for $15, and visitors can buy them on wildwoodhistoricalmuseum.com/shop or pick their own in the museum. Another ongoing fundraiser is the Wildwood Historical Society brick campaign. Supporters can commemorate loved ones by purchasing an engraved brick to be placed in the museum’s walkway. “It’s just nice to make people smile, and that’s what we do,” said museum manager Pam Bross. 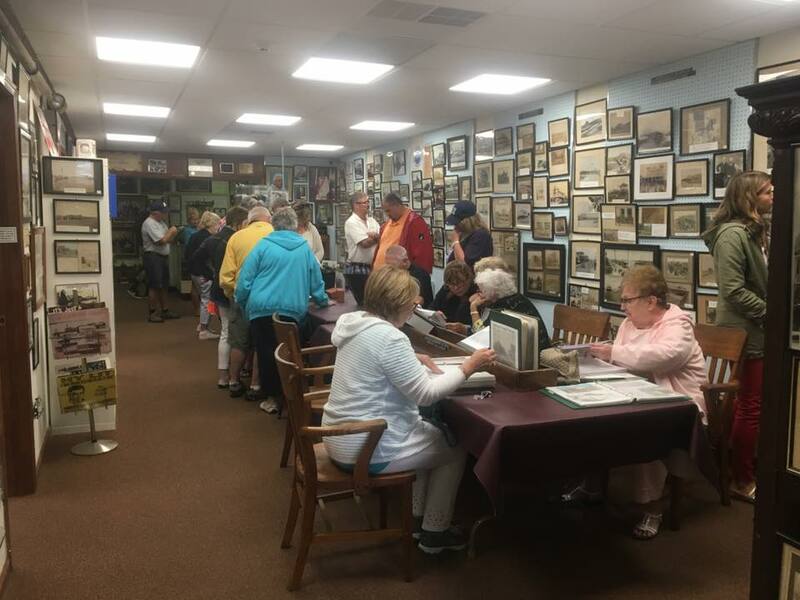 Museum admission is free, but donations keep the Wildwood Historical Society in operation.